Guymon Fire Department responded to a wind turbine tower fire Thursday evening south of Guymon. The wind tower, belonging to DeWind Energy Company, is located 10 miles south of Guymon at Rd. GG. 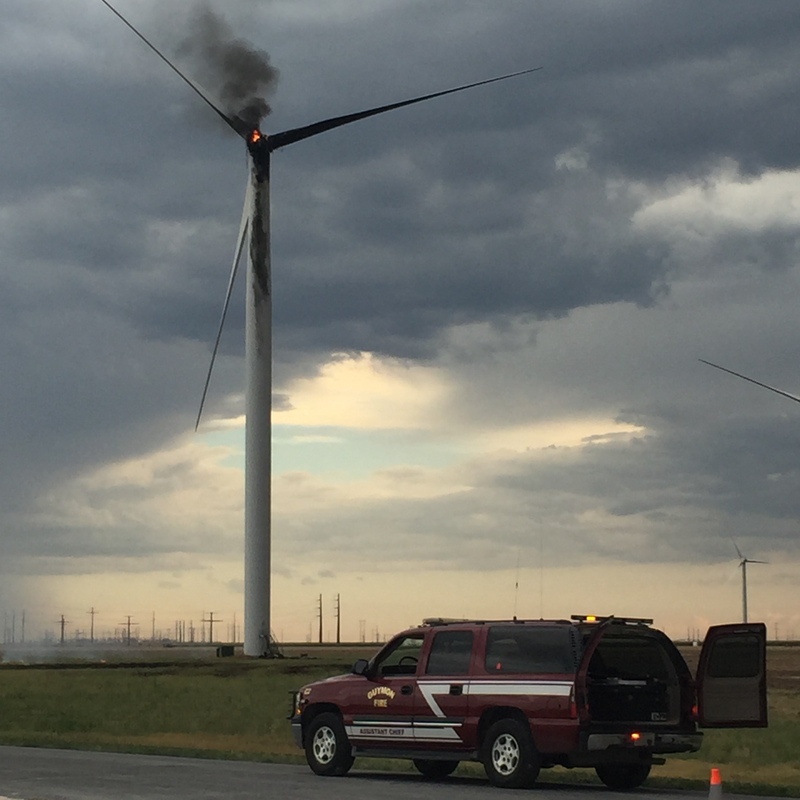 “Smoke and flames from the tower could be seen for miles while approaching the scene”, said Guymon Assistant Fire Chief Grant Wadley. 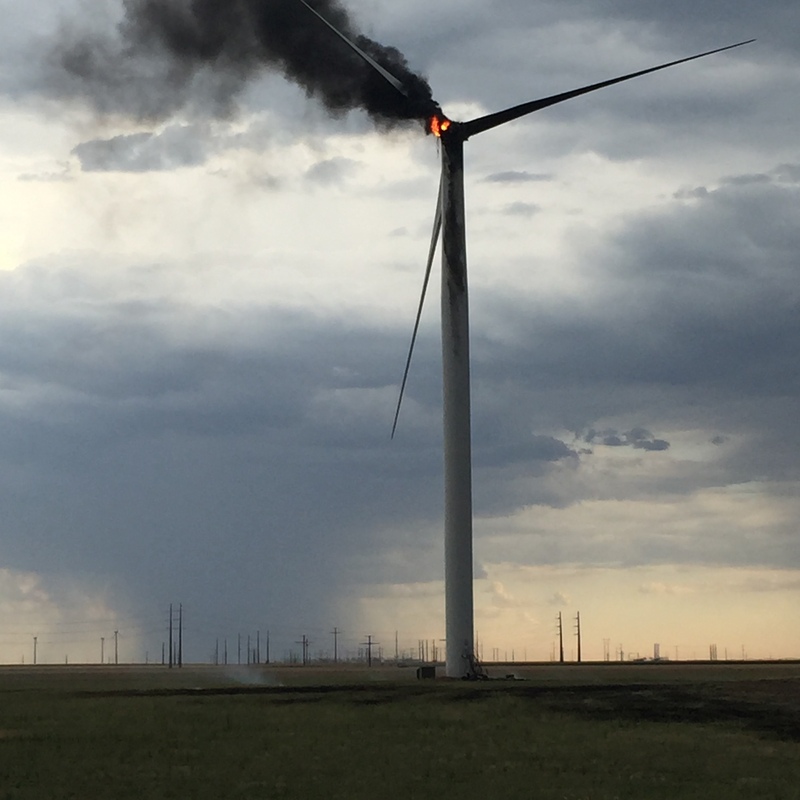 On Firefighters arrival, they found a single Novus 1 wind tower that was fully engulfed in flames at the top of the tower. 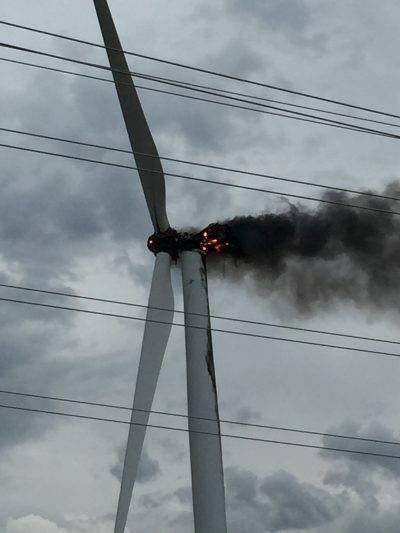 “The large blades of the turbine were not turning at the time, but large pieces of burning debris were falling from the top onto the dry grass below the tower”, Wadley stated. 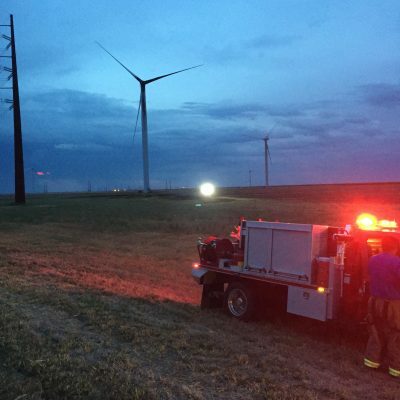 Multiple small grass fires were started because of falling debris and were later extinguished by Firefighters. 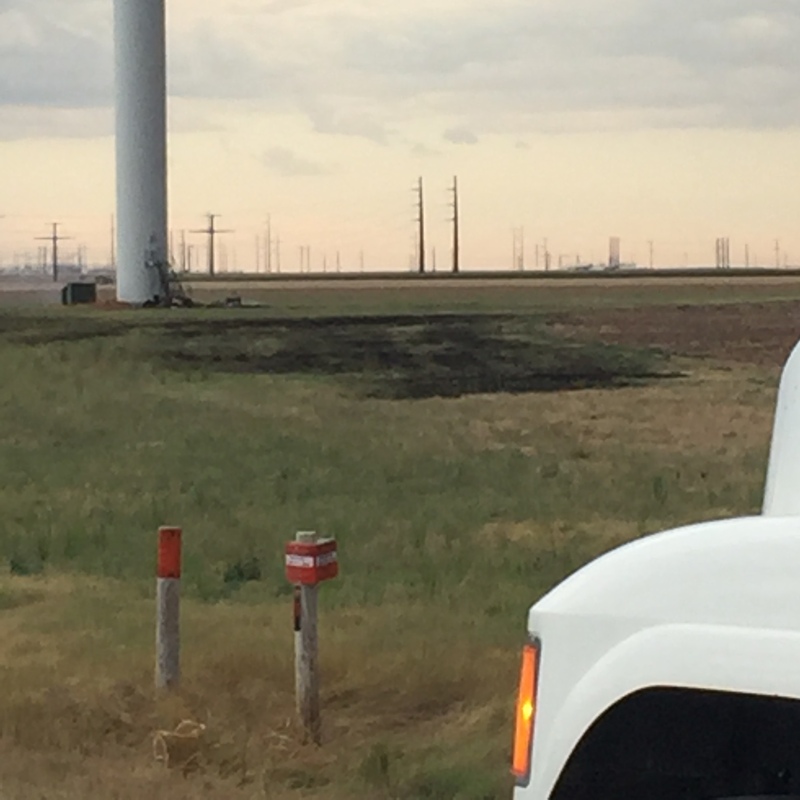 Traffic on County Road 207 was detoured for 2 hours with no one was allowed to approach the tower within ¼ mile for safety concerns. Due to the risk of collapse, Firefighters maintained a safe distance and allowed the top of the tower to burn itself out. No injuries were reported and Firefighters were released from the scene three hours later. Immediate cause and estimated amount of damage of this fire was not known, DeWind Energey officials were at the scene early Friday morning looking into the cause of the fire.